In only it’s second year the Colorado 3-Gun Championship sold out and presented shooters with a mix of fast, technical stages, an open terrain stage and a creative memory-stage to compensate for bays that are limited to 200 yards. Plus my favorite stage: Hot Lava! Forest Lathrop stops by the studio to discuss the match and we breakdown how to practice, prepare and perform in next year’s match. We also discuss the shooting culture in Colorado and how one person can affect an entire state of shooters. 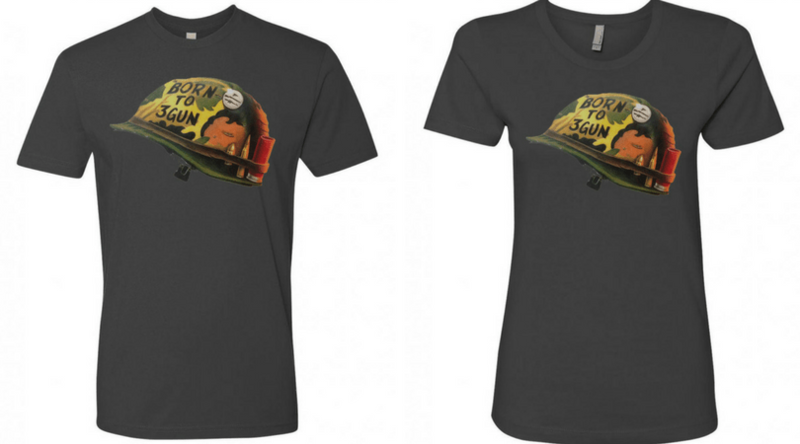 Born to 3-Gun T-Shirts are back! This is the color that was chosen by you, the audience! www.3gunshow.bigcartel.com. Thank you to Forest for being on The 3-Gun Show!